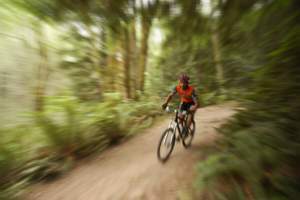 I began wondering as I sweated my guts out pedaling my mountain bike up the steep incline. The tires spun slimy mud over me, my lungs felt like they would burst from the puffing and panting and my knees felt ready to buckle from the strain. Curiously, I kept it up stoically. I was still a rookie, only nine months into my mountain biking when I took part in the cross-country race staged by Kathmandu Bike Station way back in 2010, on the 25th Aug to be exact. Spurred on by my friends and co-riders, I participated in the race despite being of two minds about it and lacking confidence. That was my first ever and most memorable race experience. The race was named MTB Madness – and for me, a guy aged 56, it seemed sheer madness indeed. The race venue was Budhanilkantha – a burgeoning uptown bazaar popular for the historic shrine of the reclining sapphire god Bishnu resting on a thousand-headed snake-god, Shesh nag, over the water of a small pond. Close by, the kick-off point was the Budanilkantha School. The race would begin on a paved road, pitted though with watery pot-holes, that led to the Shivapuri Nagarjun National Park. The route turned towards a dirt track leading to the Chandeswori shrine, before dropping sharply to the left towards a foot trail that cut across paddy fields and solitary mud houses and then rejoined a dirt road at a bridge over the Bishnumati River. The slimy road then ran across paddy fields lined with a cluster of houses until it met a paved road that led back to the starting point. This made one lap, or 5.5 km, of the race. The riders in the grand masters’ category, that is to say the over-50s, had to do three laps. The big day finally arrived. All excited about the race, I hardly slept the night before. When I arrived at the race venue, the site was already abuzz with feverish activity. It was quite a sight to see the place crawling with bikers looking their best in colorful jerseys and slacks with snazzy crash helmets to match. The line-up was impressive and overwhelming: one hundred riders. The milling crowd also included friends and my wife Radhika, who had come to cheer me on. The weather that morning at 9.30 did not look promising. There was no sun and a dull overcast sky made a downpour look imminent. The race was, however, set in stone, rain or shine. Word got around that the two-time national champion Ajay Pandit was competing. I had no idea who was who. To me every biker looked cool and intimidating. My heart sank when I spotted a couple of tall brawny “kuire” (foreign) bikers, looking almost as if they were in my age group. By the time the race started I was a nervous wreck, you bet! Finally, the whistle sounded and, amidst loud cheering and clapping, the race kicked off. I did fine as I pedaled furiously up the first incline, a little breathless though. Bikers swished past me but I left behind some others. My confidence soared on the first downhill for I considered myself fairly good and fast on that particular off-road track from Budanilkantha to Chandeswori, which I had done several times on previous occasions. “Swoosh!” A biker blazed past me and disappeared at a bend. Maybe I was not so fast, after all! After the off-road, the race track took to the single track that was slimy with mud, nearly ankle-deep. I ploughed through the mud, the tires skidding in the thick slime. Then, I slipped and the next thing I knew I was lying a couple of feet down in the bushes! Luckily, I scrambled back up onto the track unscathed. Breathless and muddied I continued and completed the first lap. Lap two was uneventful for me – but not for everyone. I went past a duo furiously pumping up a flat tire. The going was getting progressively tougher and slower for me. Even the first incline had me almost wheezing. It must be age, I reminded myself. Churned up relentlessly by the racers, the muddy trail had become messier. As the minutes went by, every thrust on the pedal seemed an ordeal. My GT Avalanche bike’s mud-caked chain and drive-trains grated and rasped miserably. Suddenly, a biker slid past me, skidded, tried to keep steady and then flipped over. I winced as the poor chap landed head first into the mud, his bike on top. Later, after the race, I learned that just about every biker had fallen off his bike. On one of the steep inclines, I spotted a lady-biker sitting by the track. “Hey, what’s wrong?” I gasped. “I’ve been falling all the time,” she sounded almost tearful. “Come on, you can do it. Get up and get going,” I said, trying to cheer her up. As I cleared the top, I looked over my shoulder. She was already on her way up. And guess what, she stood in third place on the podium at the finish of the race! As the going got tougher by the minute, what seemed a welcome sight was the cheering and clapping bunch stationed at different points who, apart from offering water, worked wonders to raise the failing spirit of the riders. The last lap was seemingly unending. By the time I cleared one of the punishing inclines, I was a total wreck. Fatigue seemed to get the better of me. At one stage, I nearly felt like abandoning the race, but suddenly Radhika’s beaming face flashed before my eyes and I managed to drag myself towards the finish line. “Hang on in there….this is the last lap,” I kept mumbling to myself, almost in a stupor. With a last gasp, I tore down the final leg, legs pumping like crazy, as if there was no tomorrow. Fifty yards … thirty … twenty … ten … five … and I cruised through the finish line to the waiting crowd that erupted into rapturous applause. Even before I stopped I saw smiling faces and rushing hands thrust towards me. The words seemed to freeze the moment in time. Later, I learned that the grandmaster’s class, which I’d won, had only three contestants. One had pulled out at the last moment and the other did not complete the course. As it turned out, it was almost an uncontested victory for me. What of it? I still became a champ, didn’t I?